Today’s Flash Back Friday comes from Episode 78, originally published in February 2012. Join Jason Hartman and Robert Zimmerman, space explorer and science journalist, as they explore the issues behind “global warming” and the impact these issues could potentially have on the human race. As Bob explains, science is being corrupted by political and governmental forces “either because they provide the financing or because a lot of people within those communities of government and political activism are trying to use science to twist it for their ends. 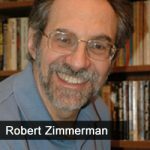 The climate field has been badly warped by people inside and outside of the science community for political gain.” Bob does point out that public belief in global warming has plummeted significantly in the past few years. That drop coincides with the release of the Climategate information. Skeptics of global warming are called “deniers.” Jason asks the question, if global warming is real, is it even bad? Bob says there is very little trustworthy data as to whether it is bad. Almost all studies that say global warming is bad and we’re going to die are political in nature. He said the real data is in the recorded events in history, which shows that certain things happen as the earth cools and warms. Bottom line, it’s a “chicken little” situation, in which everything climate related is called “global warming” and people are beginning to not believe anything the scientific community says, including the real data, and that’s the real tragedy. Bob also talks about his optimism in the United States as the engine of innovation. He explains we are no longer a country of tinkerers, but we are a country of services with more open-mindedness, which will promote more innovation. Jason and Bob discuss space exploration and the war going on between private and public space exploration in the U.S. Bob feels that as the move toward privatization of the space projects unfurls, we’re going to see over the next five years multiple companies able to put humans in orbit via the government. He also thinks that within a year, from private companies, we’ll begin to see the first flights of tourist spaceships with people onboard who have paid for the flight. Bob shares information about Templar’s findings of ten earthlike planets that are in what is considered “the habitable zone.” Robert Zimmerman has not only been fortunate to write about some of the most exciting moments in space history, he has also had the great and grand fortune to actually go where no one has gone before. In addition to his other titles, Robert is also the author of Behind the Black. When he was in college (around 1974,) he stayed up late one night to watch the movie Citizen Kane. When the movie was over, he was left breathless with wonder at its clarity of vision. Hungry to see more movies like this, he scanned the television dial and stumbled upon the opening shots of the classic and equally great MGM film, Grand Hotel. For the next twenty years, he dedicated himself to making movies, hoping to create films as entertaining and as meaningful. Instead, he ended up making a large number of very bad low budget horror films in the New York City area. In later years, he wrote screenplays and helped produce several films. Most of these movies were mindless, mediocre, and completely forgettable. By the mid-nineties, he had had enough, and decided to change careers. During these same years, he was also cultivating other interests, almost all of which had to do with the human instinct for exploration. Robert got a master’s degree, studying early America colonial history because he was curious to learn how the most successful pioneer societies organized themselves. He followed the space program from childhood because he saw it as the future of the human race. And he got involved in cave exploration, because he simply didn’t have the math skills necessary to make it as a NASA astronaut, but still had the desire to explore unknown territory. And from what he could learn, caving was the one physical activity in which it was still possible for ordinary people to go where no one has gone before. Since Robert’s first wild cave trip in 1984, he has explored hundreds of caves in the United States, Germany, Czechoslovakia, Russia, and Ukraine. He has been involved in a number of projects, pushing and surveying virgin cave passages, walking in places previously untouched by human hands. He has even become a cartographer, drawing the maps of the caves he has helped discover and survey. Once, Robert was even trapped inside a cave for 10 hours because of a flood. Even as he was having all these cool adventures, in 1996, Robert began the slow transition from movie-maker to full time non-fiction science writer. He had decided that — instead of making dismal, violent movies that said nothing positive about human nature — he would focus on telling the exciting stories of scientists, engineers, and astronauts in their never-ending efforts to push the limits of human experience, either as researchers trying to solve the mysteries of nature or as explorers trying to push the unknown.